This is high-end sneaker retailer Sneakerboy’s second Melbourne boutique – its fourth in Australia. It’s an expansive concept store in Chadstone’s luxury precinct. 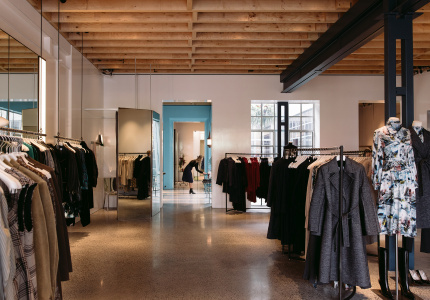 Owner Chris Kyvetos opened the original Sneakerboy in 2013 using an innovative showroom model; customers try on styles in-store but make their purchase through an app. Shoes are then shipped direct to customers from Hong Kong. The shelves are filled with trainers from designer labels including Balenciaga, Raf Simons, Y-3, Alexander McQueen and Dolce & Gabbana, as well as rare releases by classic sports brands such as Adidas, Nike and Reebok. 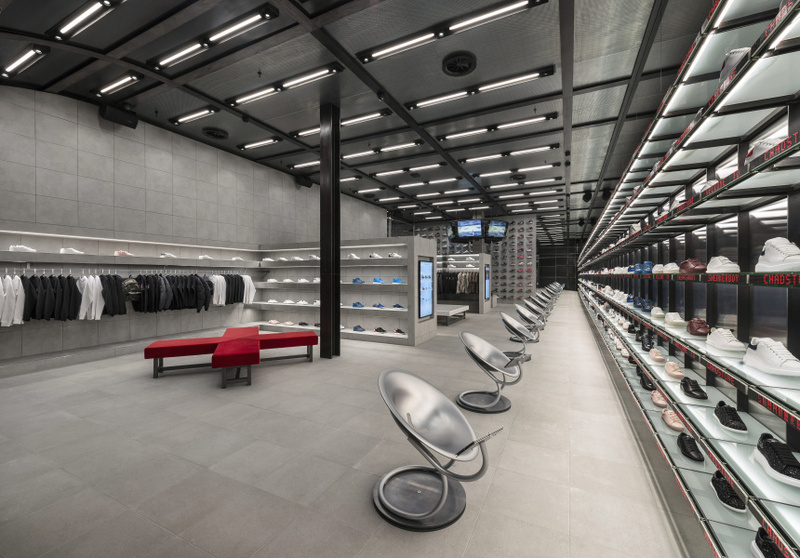 The multi-million-dollar fit-out channels Sneakerboy’s futuristic style with a tunnel-like entrance and glass shelving. 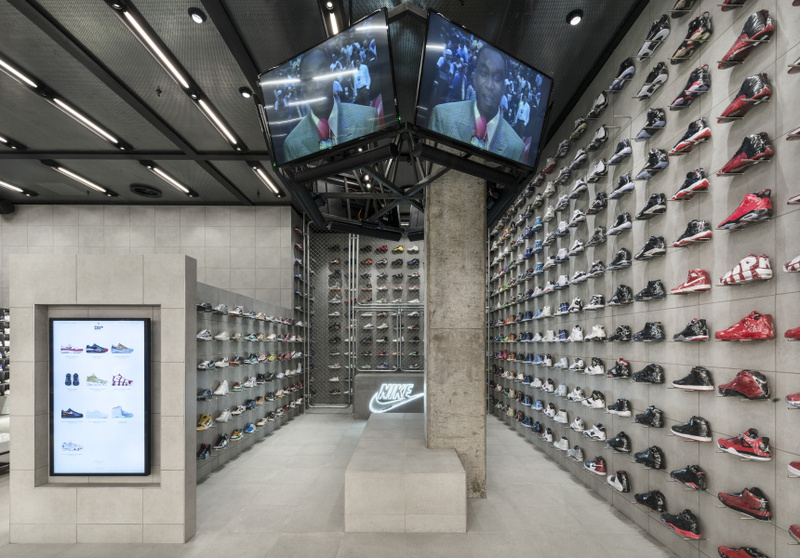 But unlike the CBD location, this space is enormous, with floor-to-ceiling displays of sneakers and a clutch of flat-screen TVs. This outpost also has a sneaker-exchange area, where customers can display and sell their own unworn shoes after their quality and authenticity has been verified by Sneakerboy.